I formed the band in the autumn of 2010 in Sofia, with the idea to make original music in the style of symphonic metal. The main themes of our songs are fulfilled with magical, mystical and secret reflections of life and the world in which we live. Over time, my ideas about music have changed with every single new song, actually I’ve been looking for new resources to complement its impact. We all changed with the development of the band – some faster, others slower. I suppose the level of development and the pace with which the band and the music began to change have made it possible for some of the first members of the band to leave. After a few changes in the band, I really think the band is finished now and everyone knows its place, strengths and knows why is in this band. The band is a dynamic system – it is not static and thanks to it – goes forward. If it stops in one place – it will stand and it will become a swamp. The pursuit of change and new things moves our entire world since we exist so that the main driving force in the band is the desire to develop and improve your skills. With such progress, it is difficult to stay at the level you entered the band at the beginning and to consider that it sufficient. The truth is that when you have a band, you have to develop every day and look for ways to get better in every way as a musician. 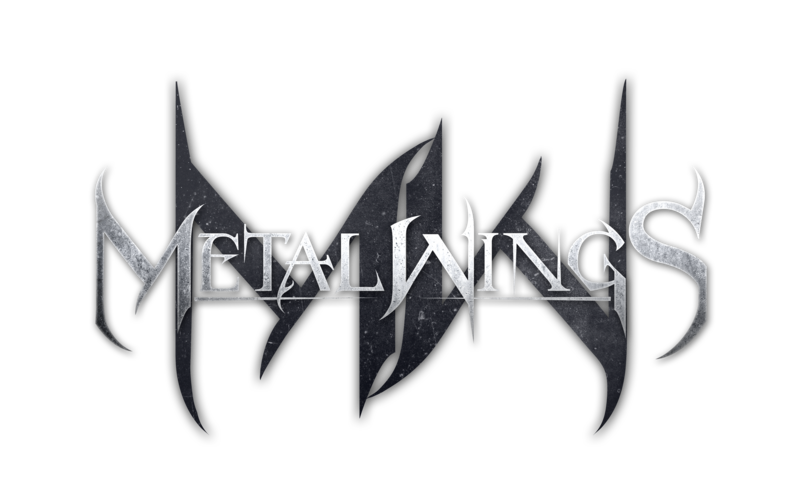 Metalwings was perhaps my second or third offer, which I discussed with the band, and in fact we were all agreed that this name best reflects our band’s concept. I wanted the name to combine the most characteristic features of our music, and namely, the combination of metal (something solid and stable) woven into the wings of a bird makes the emotional and direct impact much greater. Our band is based in Sofia, Bulgaria. The metal scene is changing very dynamically here. For several years here have been organized great and very good metal festivals, great international bands visit them and I think for the famous international bands, the Bulgarian scene is a new and very good place for concerts. Unfortunately, with regard to local bands, the situation is not so pink, because we have no developed industry to support and encourage local bands. Most of the underground bands play here only in local clubs that are not so much, and at best, with more luck or relationships, some of the bands are able to play at one of the big festivals here, but this is rather an exception. It’s not easy for the metal bands here, but I guess this situation is no different in other countries. The symphonic metal style is not so popular here – yes, if Nightwish, Epica or Within Temptation make a concert – they will enjoy a huge audience, but local bands can not boast the same. As for recommending one of the local metal bands – I can say in our music style that a very good impression is made by Ani Lo Project and Enthronement. Our style is defined as a symphonic metal, with opera female fronted vocals. Some of our fans and media define us also as a gothic, power metal. The fact that we use the sound of electric viola and Irish flute also makes our style richer with different instruments, which is very important for this style because it differs from other bands. So our style can boldly be defined as a symphonic metal, with elements of gothic and power metal music. So far, we have released in 2016 an EP “Fallen Angel in the Hell” containing four tracks and a bonus track, as well an album this year called “For All Beyond” containing 10 songs and two bonus tracks. Since it is not good to evaluate our own works, I would say that we should trust the reviews we receive for our EP and our album, and they are in most cases really good. What impresses in these reviews about our album is that we stand out in this style of music with a different structure, musical language, various instruments, beautiful vocals and interesting guitar riffs. If you ask me as a songwriter, I can only say that our songs are made with love and each of the songs longs to be heard, to be experienced and to find a way to the heart of everyone who is open to hear the beauty of our music. We do not make commercial and easily digestible music – I would say that our music is more about people who weary for complex, conceptual, classical and romantic music. Yes, of course. Even now I’m composing a new song that’s totally different as a concept because I’m betting on the classic and symphonic element in it. Almost as soon as we released our album “For All Beyond” this April, we began to work on our new songs because we wanted to enter the studio as soon as possible. At this stage we play in Bulgaria and we work with our promoter and booking agent Markus Eck (MetalMessage) to make a European tour very soon. Our plans are to continue working, as we have done so far. Playing, recordings, albums, music videos and hopefully very soon a tour outside the borders of Bulgaria. You can hear our stuff on our YouTube channel and on our BandCamp page. You can buy our stuff on all platforms that offer digital music sales like iTunes, Amazon, Google Play and so on. Maybe I would like to hear how much beauty and power can hide in the soul of a single song created with love and hope. I will be glad if this song touches his heart and he wants to hear more. I will be happy if he finds out that we are Bulgarians and do our best in Music for the people who are ready to hear it. Next Post: ⭐⭐⭐10/10⭐⭐⭐Review made by Tatianny Ruiz from Metal-Temple!